Bhim Axis Pay Jio Recharge Cashback Offer With Bank Transferable -Today, Again good news for Jio Users who wanted to do recharge in future. We are going to tell you a new loot has come from Bhim Axis Pay app Which is Axis pay Jio offer. "Bhim Axis Pay App" brings a cashback of Rs 100 which is directly transferable to your Bank Account on Jio Recharge of 399 or more. This offer is valid for first time users who recharge their Jio Number using Axis Pay App in the offer period. Users have to do their Jio recharge of 399 or more before 31th of January. Axis Pay Jio offer-The Most exciting thing about Axis Pay Jio offer is that the Cashback of 100 Rs which you'll get on your Recharge of Jio 399 on Bhim Axis Pay App will be later reached directly to your Bank Account. You will get your cash back into your Bank Account within 15 days of Recharge. If this will be your Second recharge on Bhim Axis Pay app, then you'll get only 30 Rs. Which will also be transferable to Bank Account within the given time period. How To Get Axis Pay Jio offer On Bhim Axis Pay App? *First off, Download the Bhim Axis Pay App. *Login/Register on the Bhim Axis Pay App. *After that Initiate the Recharge of Jio 399 or above. * Successfully you have done your Recharge and now you'll be eligible to get 100 Rs Cashback offer on Bhim Axis Pay. *100 Rs Cashback will be directly deposited into your Bank Account within 15 days after the recharge. *First Recharge will be counted to be eligible for this Offer. *On the Second recharge on Bhim Axis Pay app, you'll get on 30 Rs Cashback. *Bhim Axis Offer Valid up to 31st January 2018. 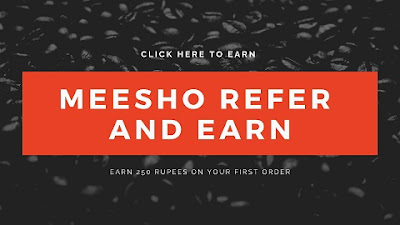 For more Details, you can click "Here"
So if you were looking any best offer to get Cashback on Jio 399 Recharge and wanted to get the Cashback into your Bank Account. Then Bhim Axis Pay Jio offer is best for you. As it is providing your cash back directly to your Bank account within the given time period. If you are satisfied any other mode like Amazon Jio Recharge offer on Jio 399Then you can also go for that.If this post is helpful to you kindly share with your friends and family. thanks bro and keep sharing! !